Space Systems/Loral, was selected in January 2008 to provide the ViaSat 1 high capacity broadband satellite for ViaSat Inc. With a throughput of 140 Gbps, ViaSat-1 is expected to be the world's highest capacity broadband satellite. Loral also announced that it is investing in the Canadian coverage portion of the satellite in anticipation of Telesat Canada (which is 64 percent owned by Loral) utilizing the capacity for Canadian services. The satellite is planned for Telesat's 115 West longitude orbital slot and Telesat will also provide telemetry, tracking & control (TT&C) operations for the satellite. The new spacecraft is scheduled to launch in 2011 and is expected to provide more than 15 years of service life. It employs SS/L's space-proven SSL-1300 platform and high-capacity Ka-band spot beam technology to ultimately service more broadband users at faster data rates than any previous satellite. 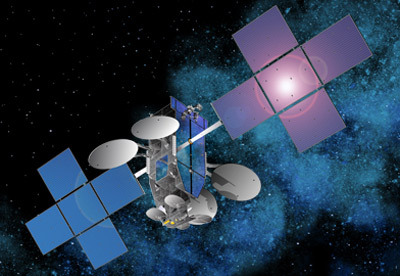 ViaSat-1 involves a collaborative effort between ViaSat, Loral, Telesat and Eutelsat, which is working with ViaSat on the networking system and a common wholesale business model that works through existing ISPs, telecommunication companies, and pay TV providers to serve subscribers.